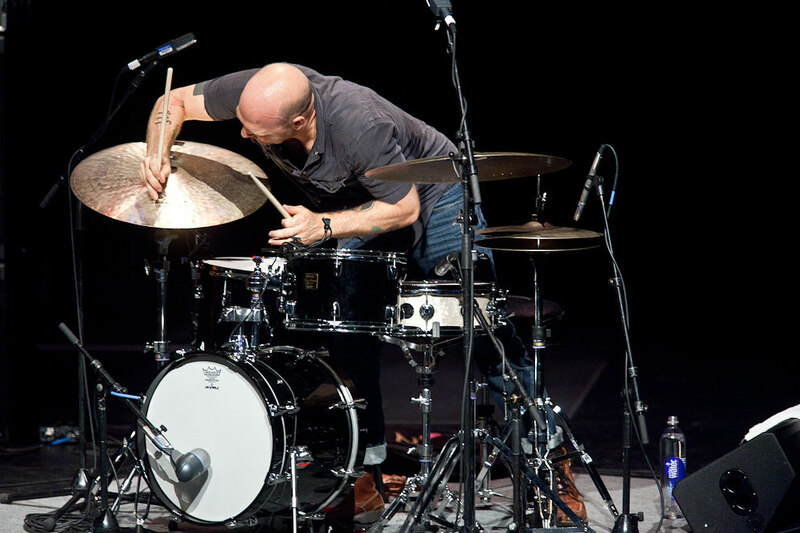 The Bad Plus drummer David King was all over his drum kit Friday night at Theatre at Meydenbauer Center as the Bellevue Jazz Festival continues. What a great show they put on. 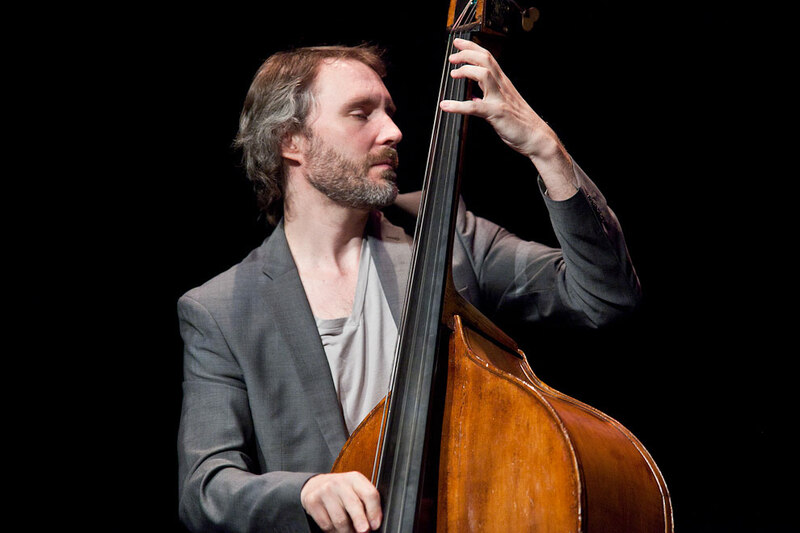 David King was outstanding as was bassist Reid Anderson, pianist Ethan Iverson. Forget categories and catch phrases. 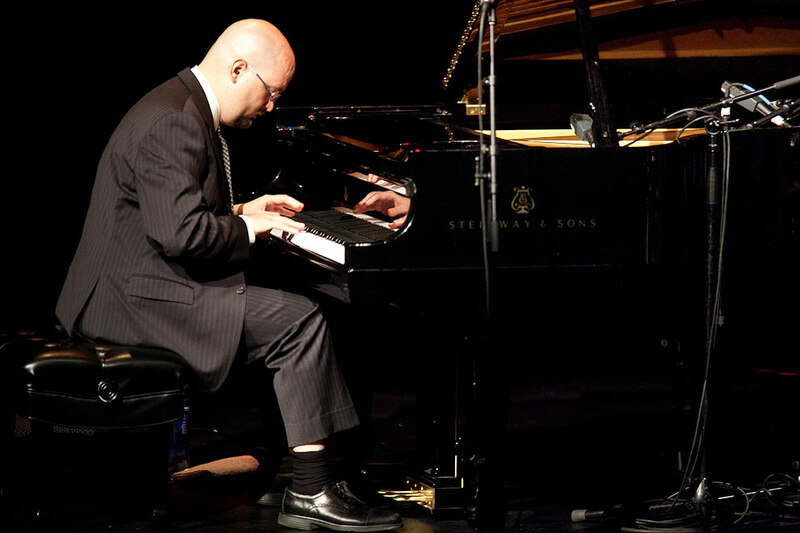 The sound of The Bad Plus is distinctive, eclectic and formidable. 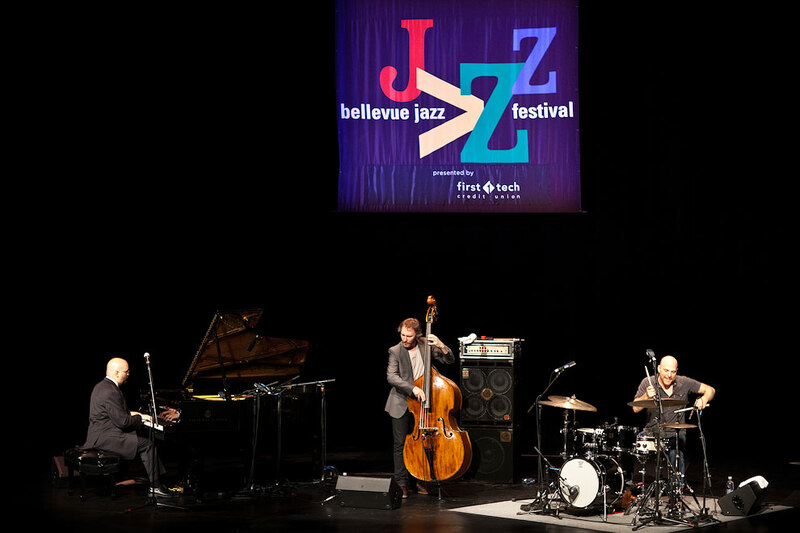 The Bad Plus have exploded all notions of what a jazz piano trio should sound like, whether at outdoor rock festivals, jazz clubs or symphony halls. 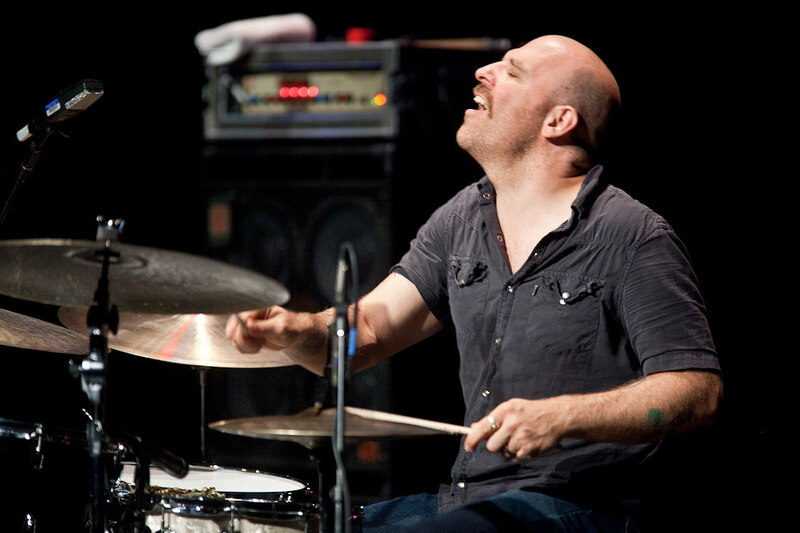 The Bad Plus is a collective made up of bassist Reid Anderson, pianist Ethan Iverson, and drummer David King. All three are from the Midwest and they have known each other since their teens. Nonetheless, with the exception of one unimpressive meeting in 1990, it is only after spending their formative 20s apart — King as member of the seminal indie jazz group Happy Apple, Iverson as the musical director for the Mark Morris Dance Group, Anderson as a prominent up-and-coming player on the New York jazz scene — that they reunited in late 2000 to play a weekend club date in Minneapolis. The chemistry was immediate and obvious. 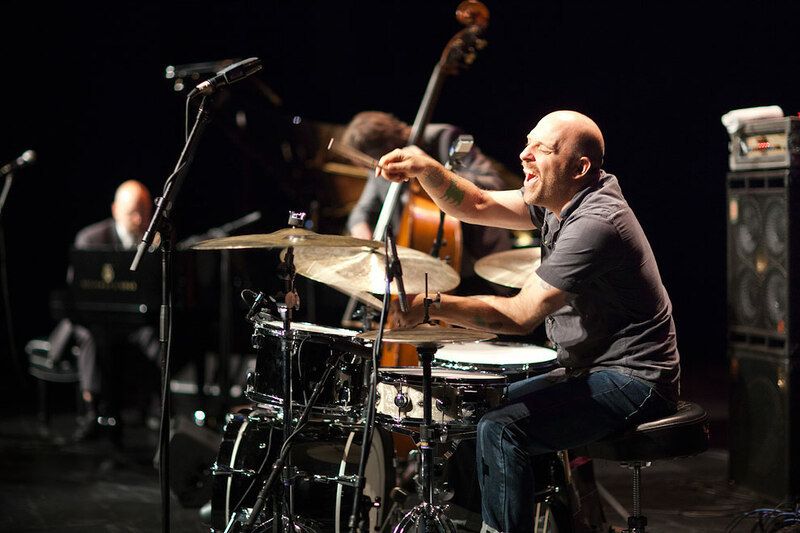 They planned a second gig and a one-day recording session for the indie jazz label Fresh Sound and The Bad Plus was born. The Los Angeles Times ranked the trio among the leaders of what might be called the Nu Jazz movement. Newsweek declared their 2005 release Suspicious Activity? to be “among the freshest sounding albums of the year”. And according to Rolling Stone, “by any standard, jazz or otherwise, this is mighty, moving music, hot players with hard-rock hearts”. In short, a diverse array of music lovers has been seduced by The Bad Plus and their earnest, dizzying musicianship. The Los Angeles Times ranked the trio among the leaders of what might be called the Nu Jazz movement. Newsweek declared their 2005 release Suspicious Activity? to be “among the freshest sounding albums of the year”. And according to Rolling Stone, “by any standard, jazz or otherwise, this is mighty, moving music, hot players with hard-rock hearts”. In short, a diverse array of music lovers has been seduced by The Bad Plus and their earnest, dizzying musicianship. Jazz Photography by Daniel Sheehan, Seattle Photographer.